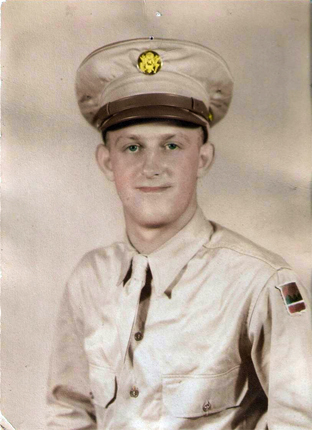 Private First Class Kenard Schrock, 24, was from Moss Creek, Pennsylvania. He was a machine-gunner in the 317th Infantry, 80th Division, 3rd Army. 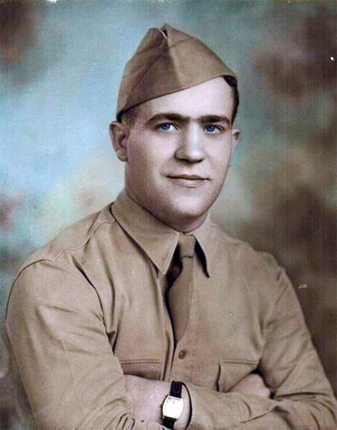 Schrock was killed in heavy fighting on Sept, 17, 1944, when a mortar shell struck his foxhole. This image is courtesy of Roger McClelland. In the third World War II at Gettysburg post, Licensed Battlefield Guide Ralph Siegel shows the final resting place of individuals killed at Normandy, Iwo Jima, Saipan, Guam, and Okinawa. 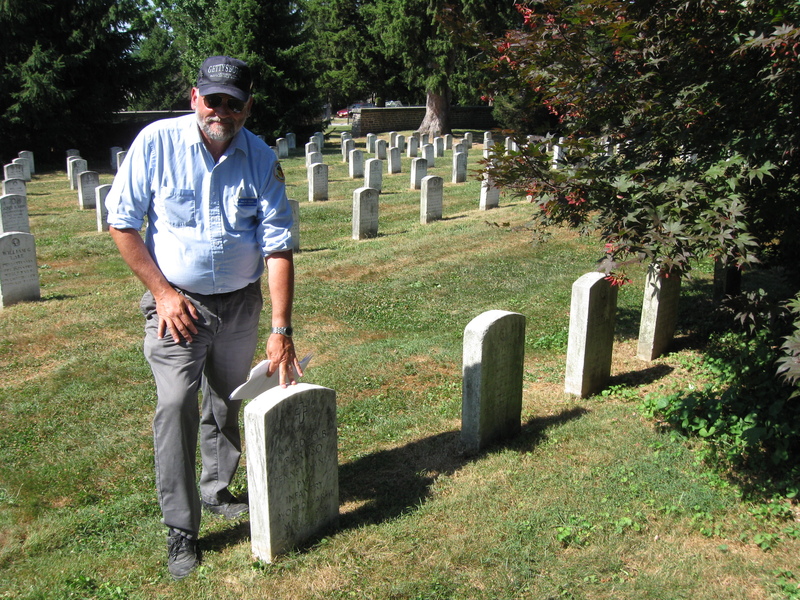 In today’s World War II at Gettysburg post, Ralph Siegel shows us the graves of one of the first land based soldiers to enter Germany during the war, and some individuals killed at the Battle of the Bulge and Okinawa. This map shows the location of the videos for the World War II at Gettysburg series. 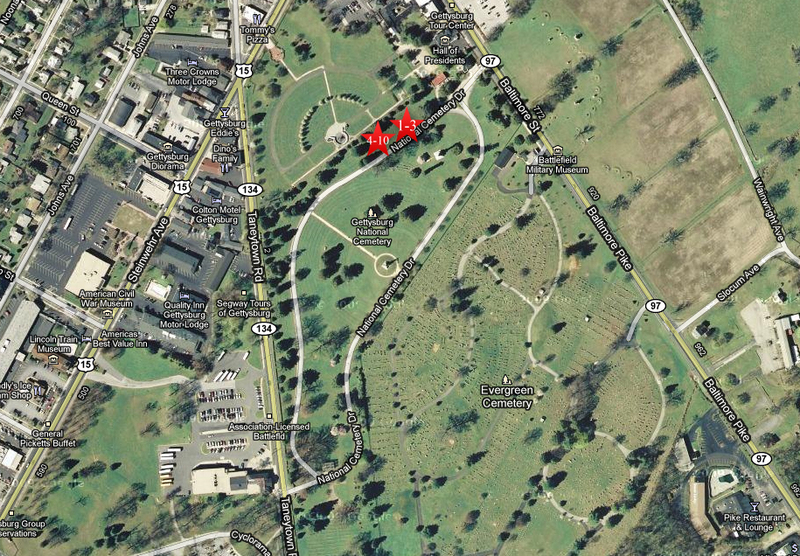 Videos #1-#10 were taken in Section 2 of the Gettysburg National Cemetery. 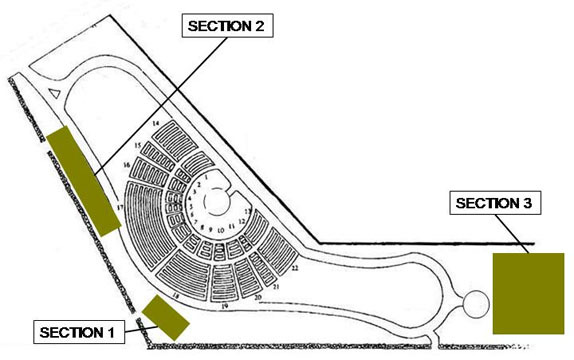 This map was created facing north at approximately 5:00 PM on Saturday, September 11, 2010. 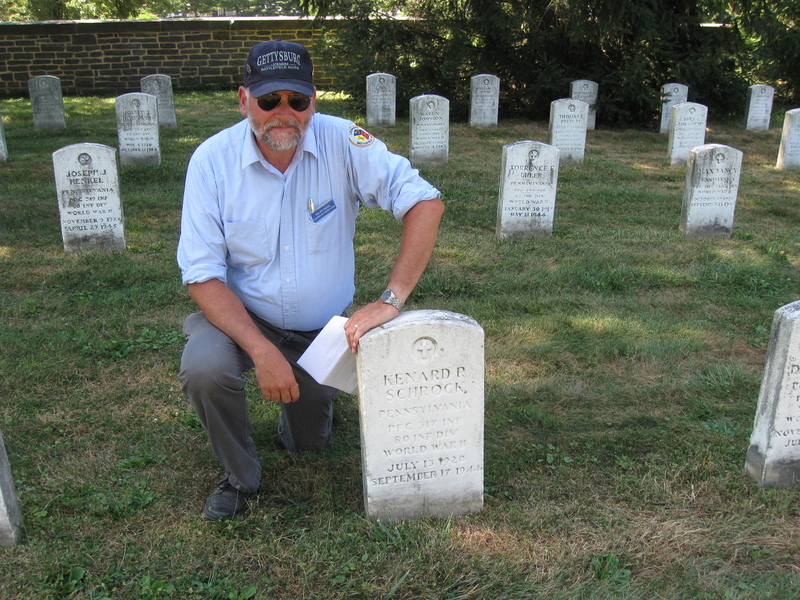 Gettysburg Licensed Battlefield Guide Ralph Siegel is kneeling by the grave of Kennard Schrock, who was killed during fighting at Metz, in northeastern France. This view was taken facing northwest at approximately 4:15 PM on Sunday, July 11, 2010. 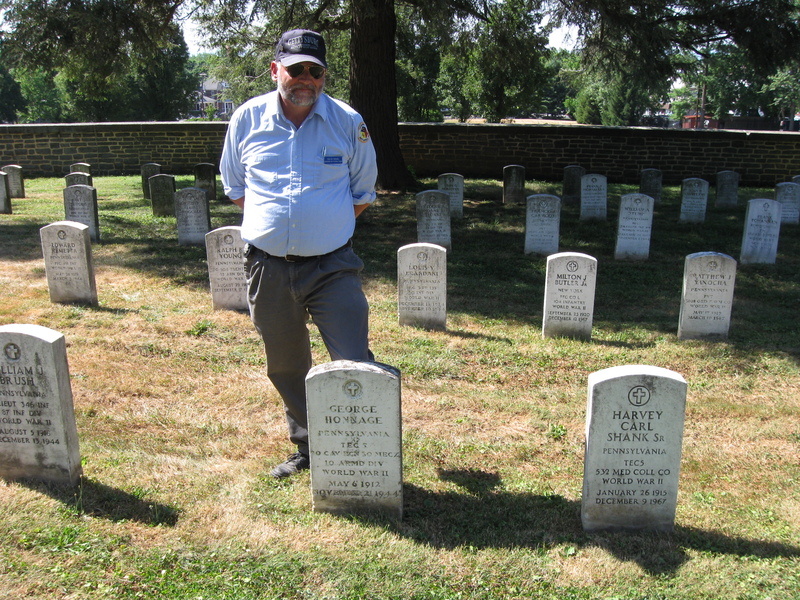 In Video #8 (Videos #1-#7 were shown in the previous World War II at Gettysburg posts) Gettysburg Licensed Battlefield Guide Ralph Siegel shows us the graves of some individuals killed near the French and German border in 1944. This view was taken facing west to northwest to west at approximately 4:15 PM on Sunday, July 11, 2010. 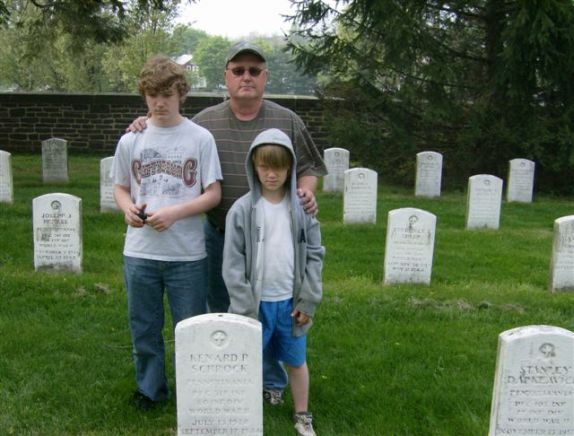 Kenard Schrock’s nephew, Roger McClelland of Cecil, Pennsylvania, visits his uncle’s gravesite with his two sons, Aaron, left, and Jacob. This photograph is courtesy of Roger McClelland. 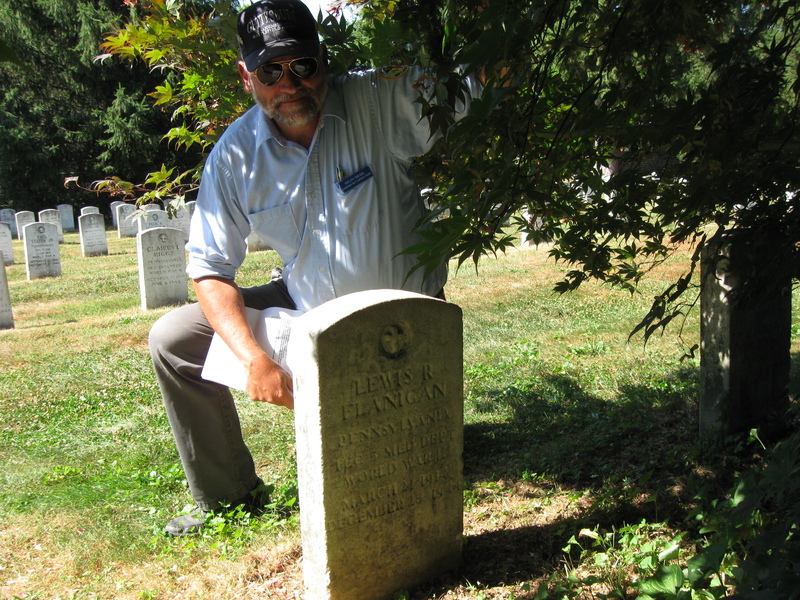 George Honnage was a member of “Task Force Cherry,” one of the first groups of American land forces to enter Germany. This view was taken facing northwest at approximately 4:15 PM on Sunday, July 11, 2010. 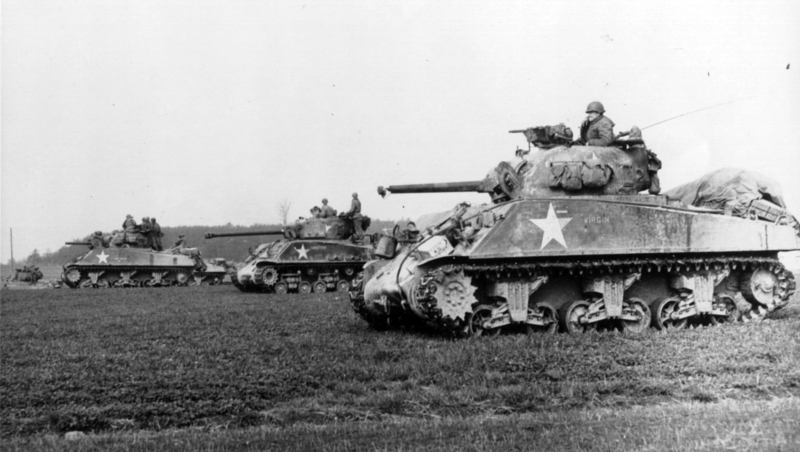 Wartime photo of the venerable M-4 Sherman tank of the type driven by Tec-5 George Honnage of Philadelphia. The tank was inferior to German armor in almost every respect but was built in vastly greater numbers, giving United States armor units battlefield superiority. This image is courtesy of the United States Army/National Archives. 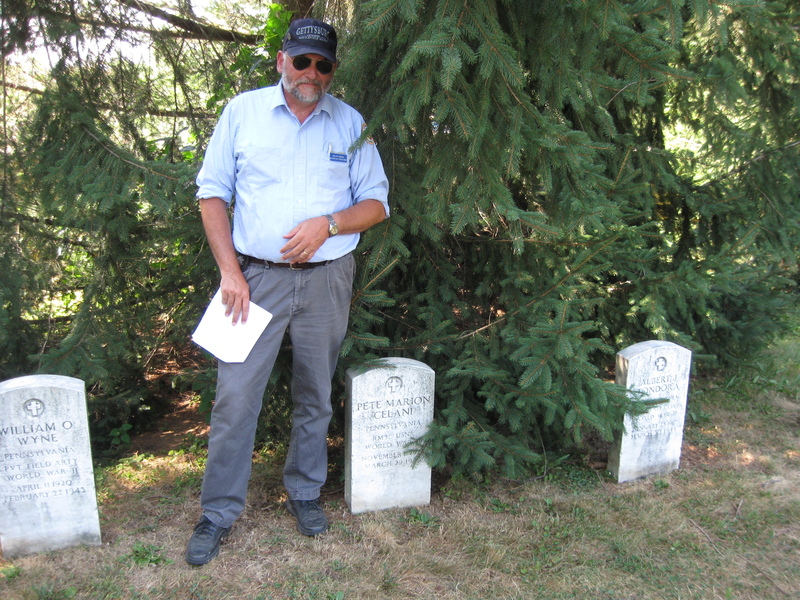 Licensed Battlefield Guide Ralph Siegel is standing by the headstone of Amedeo Caruso, who was killed during the Battle of the Bulge. This view was taken facing north at approximately 4:15 PM on Sunday, July 11, 2010. In Video #9 Licensed Battlefield Guide Ralph Siegel shows the graves of two soldiers killed during the Battle of the Bulge. This view was taken facing north at approximately 4:15 PM on Sunday, July 11, 2010. A rare, beautiful color photo of Private Amedeo Caruso, 19, of Fayette County, Pennsylvania, serving with the 84th Infantry. He was killed in the Battle of the Bulge January 13, 1945. 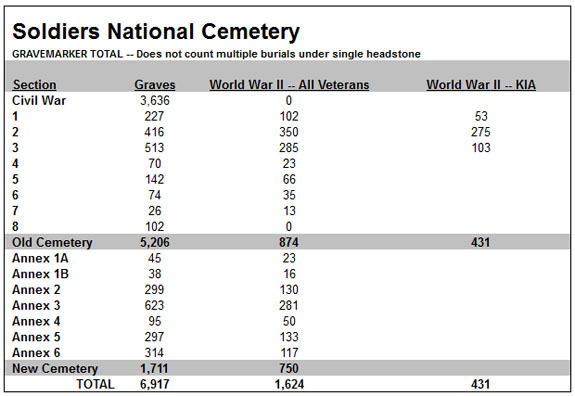 This image is courtesy of the National World War II Memorial. Lewis Flanigan was a medic killed during the Battle of the Bulge on Christmas Day, 1944. This view was taken facing north at approximately 4:15 PM on Sunday, July 11, 2010. Licensed Battlefield Guide Ralph Siegel is standing by the grave of Pete Celani, who died when his ship was struck by a kamikaze pilot during the Okinawa Campaign. This view was taken facing northwest at approximately 4:15 PM on Sunday, July 11, 2010. In Video #10 Licensed Battlefield Guide Ralph Siegel shows the grave of Radioman Pete Celani, who was killed during the Okinawa Campaign. This view was taken facing northwest at approximately 4:15 PM on Sunday, July 11, 2010. 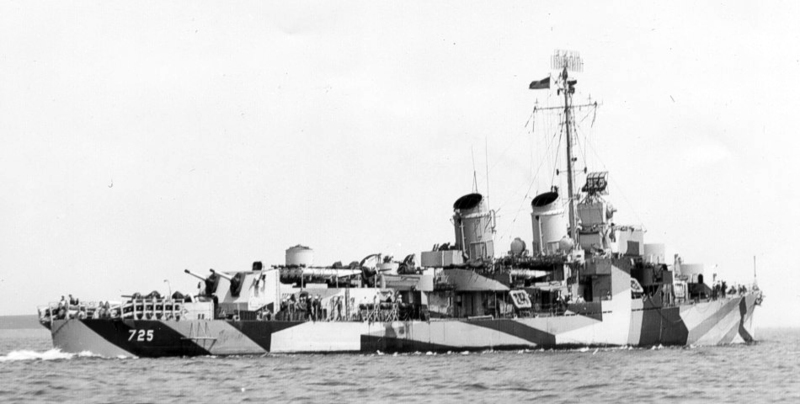 Wartime photo of the destroyer USS OBrien. Radioman 3rd Class Pete Celani was aboard during the Battle of Okinawa when a kamikaze suicide attack plane hit the ship on March 27, 1945, killing 50 of 336 crewmen. This view is courtesy of the U.S. Navy History Heritage and Command Archive.